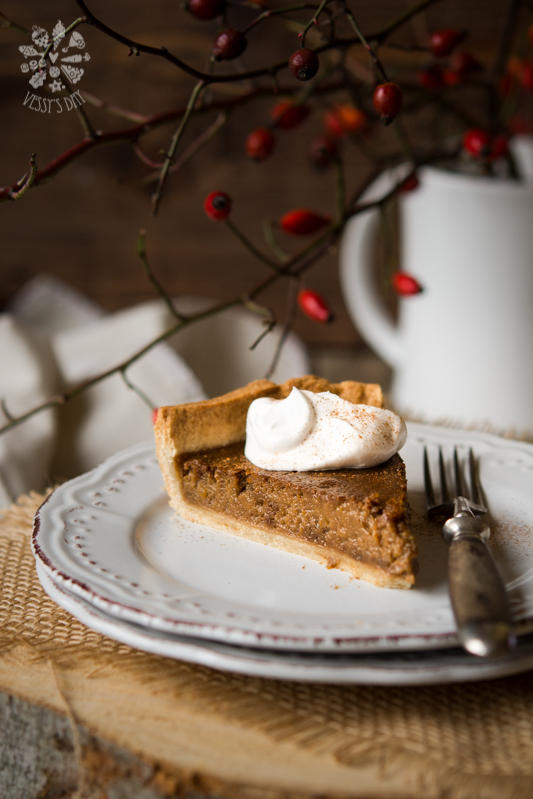 This pumpkin pie is one of our favorites at home. 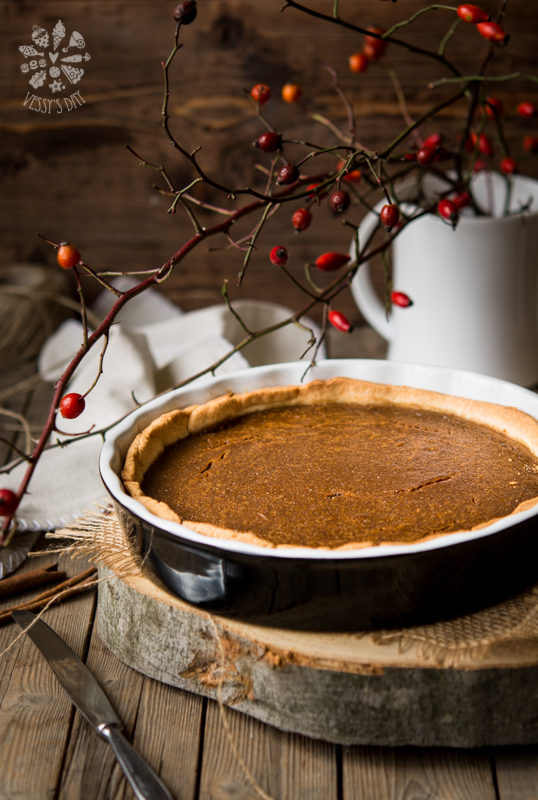 With just a few adjustments to the classic pumpkin pie, this recipe will make you eat the whole thing on one sitting and never want to make the classic pumpkin pie again. Lately I’ve been using raw sugar Muscovado in many desserts, because it gives this beautiful caramel color and flavor, plus it’s definitely healthier than white sugar, which is exactly what I wanted for this recipe. Additionally, I use coconut milk instead of regular milk, which is also a great way to twist up a bit the classic recipe. And finally, this pie is gluten free, but if you are not the gluten free type, just use this sweet pastry recipe, instead of the one below. Combine flour, sugar, xanthan gum (if using) and salt in a large bowl. Add the soften butter (chopped into small pieces) and start mixing with your hands and fingers (or in a food processor if you prefer) until the mixture resembles breadcrumbs. Add the egg and knead until the dough comes together. If dough is too dry and doesn’t come together add one or two table spoons of water or milk, one by one, until dough is wet enough to form a ball, but not too sticky. Shape dough into a disk, cover in plastic wrap and put in the fridge to firm up, about 30 minutes. Once dough is set, remove it from the fridge and set over a floured wooden board or your counter top. Roll the dough into a large circle, enough to cover the bottom and sides of your pie baking dish. Transfer rolled circle of dough into a greased baking dish, pressing it gently down to the sides and bottom and put in the fridge for another 30 minutes. Preheat your oven to 180C, 350F. In a large bowl beat pumpkin puree and eggs until well combined. Add sugar and beat to combine. Add flour, cinnamon, ginger, nutmeg, cloves and coconut and mix again for a minute to combine. Pour pumpkin filling over the pastry and bake for about 35-40 minutes or just until the edges of the dough start browning and the filling is set. 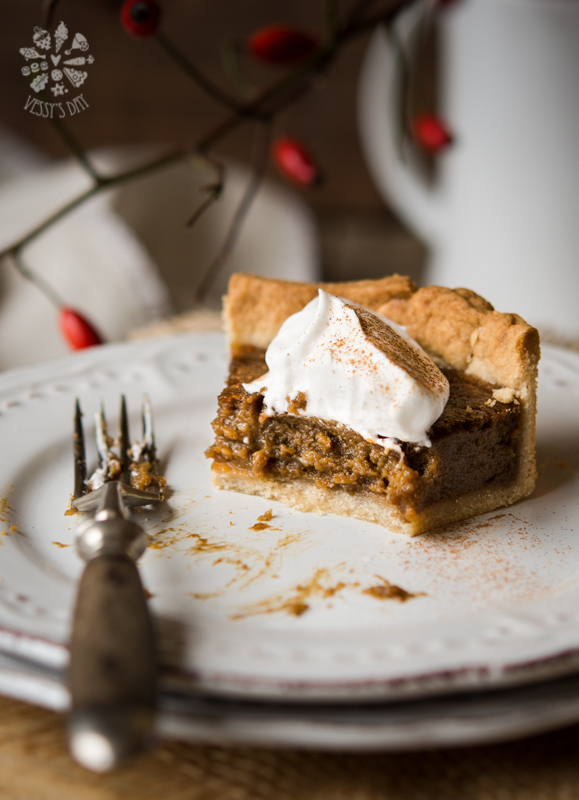 Serve with whipped cream with cinnamon.